The ultimate guide to 4 Valleys ski holidays in 2019 & 2020. The biggest ski area in Switzerland has a seemingly endless amount of groomed slopes and world-famous off piste – accompanied with stunning views of Dent Blanche, the Mont Blanc massif and the Matterhorn. The charming chocolate-box villages cater for everyone from newbies and families (Nendaz) to seasoned pro’s and night owls (Verbier). Switzerland: the land where rustic barns meet modern chalets; where natural beauty meets luxurious spas; where melt-in-your-mouth chocolate meets cheese fondues and where the sunny resorts of Verbier, Nendaz, Veysonnaz, La Tzoumaz and Thyon meet to make up the 4 Valleys. 412km of gorgeous pistes make this the largest ski area in Switzerland and third largest in Europe, but it’s the off piste which really distinguishes the region, including the famous Mont-Fort glacier at 3330m with its terrifyingly steep descents. The area connects the 5 inter-linked resorts, each with their own individual character. Verbier’s the best known - world famous for its après ski and off piste, which makes this a fantastic resort for adults and serious skiers. Its Swiss-chocolate box village is regularly frequented by the rich and famous which is reflected by the amount of sophisticated bars, designer boutiques and Michelin-starred restaurants you’ll find here. Nendaz and Veysonnaz have long been family favourites thanks to their much quieter atmospheres, great infrastructure for beginners and value for money. Relatively untouched, both have retained a real rustic charm with traditional chalets and cosy local restaurants. La Tzoumaz is a smaller town offering heaps of sporting activities, and Thyon is the king of the castle at over 2000m, with traffic-free roads amongst old barns and chalets, and panoramic views over the impressive Dent-Blanche, Matterhorn and Val des Dix below. At the moment, the 4 Valleys lift pass comprises all 5 ski areas, but there are reports that the lift operators have failed to reach an agreement for next year, meaning it may no longer be possible to buy a pass linking the whole domain. If you don’t need the mileage of the whole region anyway, you can get passes to the Verbier or Printse ski areas. Verbier Grand Ski spans from the low-down village of Bruson to the peak of Mont-Fort. The 220km Printse sector encompasses Haute-Nendaz, Siviez, Veysonnaz and Thyon/Les Collons. While the links between resorts are not quite as convenient as some of the big French ski areas, a good skier shouldn’t have a problem getting around. Despite the area’s reputation for challenging slopes and steep off piste, there are specific learners’ areas just above Nendaz and Thyon and two zones with beginner slopes and magic carpets in Verbier - Les Moulins and Les Esserts. Once the basics have been mastered, head to Thyon or Nendaz for some confidence-building blues. Intermediates will enjoy the variety of reds, from the winding runs over at Les Masses to the Savoleyres routes just next to Verbier. The legendary Piste de l’Ours in-between Veysonnaz and Thyon is a must for any speed demons – this 2km red has hosted 30+ World Cup downhill races and is considered one of the best slopes in the world. It’s really for experts that the area comes into its own, with a whole host of challenging blacks and itineraries (marked out but unmaintained and uncontrolled runs). One of the highlights is the long, steep black down from the top of Mont-Fort to the Tortin Glacier with awesome views. On the other side of the ski map, the black down from Ethérolla has a vertical descent of 800m. Verbier’s legendary off-piste has thrilled and tested some of the best for many years, especially the Chassoure-Tortin Wall which often appears in many top 10 lists for the most demanding runs in the world. The huge peaks of Mont-Fort and Mont-Gelé provide all kinds of great off-piste opportunities and the 4 Valleys have the most itineraries of any ski area. Boarders are generally well catered for but should probably avoid the Vallon d’Arbi due to the flat runout at the end (which often ends up as a long walk...). The area regularly hosts big competitions every year like Xtreme Verbier. Plenty of snowparks will keep freestylers happy, with the massive Swatch Snowpark at La Chaux, the Woodland Park and Skicross Park in Nendaz and two more at Thyon. Although Verbier is far from cheap, there are few better resorts for après ski. Enjoy a drink (or two – there’s often a happy hour on) at Pub Montfort, which is buzzing as the lifts close. You can’t beat The Farinet when a live band is blasting out – the Lounge Bar next door couldn’t be more different: classy with big leather sofas and a great selection of cocktails. If you’re looking to really blow off some steam, try Casbah, Le Rouge and Farm Club which stay open into the early hours. The other resorts generally have quieter après ski, but with the added benefit of being a lot easier on the wallet! Veysonnaz is probably best known for its mountain-side bars and restaurants, especially open-air Le Tipi serving snacks and pizza with live music on its sun-terrace. The Café Bon Vin is nestled in the heart of the old village and puts together dishes of Valais specialities – there’s nothing like a classic cheese fondue. 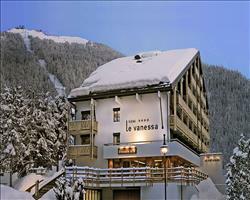 Family-friendly Nendaz has lots of great restaurants and big terraces to soak up the sun. La Lanterne et le Vieux Chalet is a home away from home, the perfect location to sample the cheesy delights of tartiflette and raclette. It’s not all cosy and relaxing, with Cactus Saloon and The Canadian Pub putting on lively live music and DJs until the early hours. La Tzoumaz’s Les Fougères has a great drinks selection, with locally sourced game and varied salad bar. In Thyon, head to La Cambuse, where there’s a specially designated Raclette Corner. Disco le Cosmos is the perfect place to go with mates, either to embarrass yourselves on the dance floor or play indoor bowls, table football and pool. Le Pinocchio is a bit posher, serving local specialties and pizzas alongside breath-taking views. When is the best time to ski 4 Valleys? The season for most of the resorts runs from December to April, but the Mont-Fort glacier at 3300m tends to stay open until May. With plenty of other high-altitude peaks and lots of runs over the 2000m mark facing North, South, East and West, snow conditions are usually very good throughout the season. The area claims to average 300 days of sun a year, so you should be able to enjoy some sunny skiing whatever the time you visit! South-facing slopes are best early in the season and the cooler North oriented slopes stay in great condition right up ‘til the end of the season. Verbier is always very popular during peak holiday periods but the rest of the resorts are less well-known, meaning they’re a fantastic option for anyone looking to avoid the crowds and get a great deal on their holiday at the same time. Spend Christmas in the 4 Valleys to enjoy an authentic Swiss festive break including carol services, Christmas markets, ice skating and maybe even appearances from Father Christmas, all in stunning, snow-covered surroundings. New Year in the 4 Valleys is usually a special event featuring fireworks, food, live music and plenty of flowing drinks - there’s nothing quite like a New Year’s Eve party in a ski resort. Families love February Half Term in the 4 Valleys due to its great ski schools and childcare facilities, varied skiing and lots of activities for non-skiers. Make the most of the sun and snow by spending Easter in the 4 Valleys. The usual Easter egg hunts around the resorts are always great fun for the kids, while older ones can enjoy the themed restaurant menus and parties. Families old and young will find everything they’re looking for in the 4 Valleys as the massive ski area caters for all abilities. Plenty of activities away from the slopes will keep any non-skiing family members well entertained. Older families will love Verbier where experienced skiers can experience some of the best off piste in the world, while any daredevil kids speed around the huge freestyle park at La Chaux. Family members old enough to enjoy the après ski will be hard-pressed to find a better nightlife anywhere so it’s lucky our chalets and hotels are located perfectly to give you access to both the slopes and town centre in no time at all. Nendaz and Veysonnaz are ideal for young families, with relaxed, friendly atmospheres and the perfect set up to let parents enjoy a stress-free break. 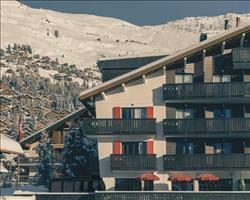 Nendaz is one of only 23 destinations in Switzerland to have been awarded the “Families Welcome” status. Designated beginners’ areas and great ski schools like Ecole Suisse de Ski et Snowboard mean that learners of all ages can get the hang of the basics in fun and easy-going surroundings. Soon they can move on to the gentle blue runs just above Thyon or at the top of the Tracouet and Prarion lifts. Older kids will love the snowparks and skicross in Thyon and Nendaz, that’s if they can drag themselves away from the endless off piste! These two resorts make great destinations for families looking for a quiet holiday offering good value for money, as they are not as well-known and exclusive as Verbier. There’s no danger of non-skiers suffering from boredom as there are all kinds of entertainment and activities throughout the 4 Valleys. Those after an active getaway can choose from snowshoe hikes and dog sled rides to tubing, paragliding and ice skating for exciting ways to keep busy. Alternatively, for anyone looking for a more relaxing week, the shops, swimming pools, spas (especially Hotel Nendaz 4 Valleys spa) and Verbier’s cinema are perfect for some R&R. Kids too young to ski can benefit from sledging and organised treasure hunts while the childcare services in each resort can give parents some much needed time off! Thanks to its vast and varied ski area, the 4 Valleys is a great destination for a group ski break. Beginners’ slopes, gentle blues and reds, tricky blacks and more off piste than you can imagine mean that all abilities will find exactly what they’re looking for. Those after a classy holiday with some of the world’s best après must head to Verbier where they will find fantastic intermediate-advance skiing and an even better nightlife - check out Pub Mont-Fort and the Farinet for a true Verbier après ski experience. Groups looking for a slightly quieter, relaxing ski holiday or those at the start of their Snowsports careers will love Nendaz. We have some gorgeous chalets there with stunning views over the mountains and if your group size matches the amount of beds, you can have sole occupancy. Non-skiers will really enjoy the wealth of activities that the 4 Valleys have to offer, including active pursuits like paragliding, rock climbing and snowtubing. For those after a relaxing break, there are plenty of spas and wellness centres including the famous Hotel Nendaz 4 Vallées spa with 2km2 of swimming pools, saunas, baths and treatment rooms.